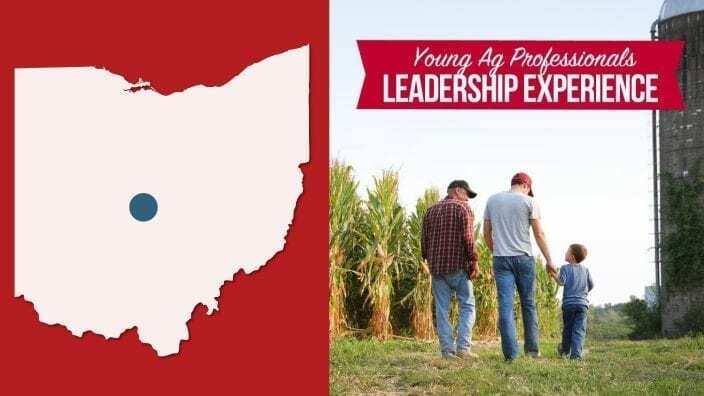 Annie Lohstroh from Pickaway County is the editor of the Nov. 5, 2018 Growing our Generation enewsletter, featuring insights and ideas directly from Ohio’s young farmers and food and agricultural professionals. Hi! 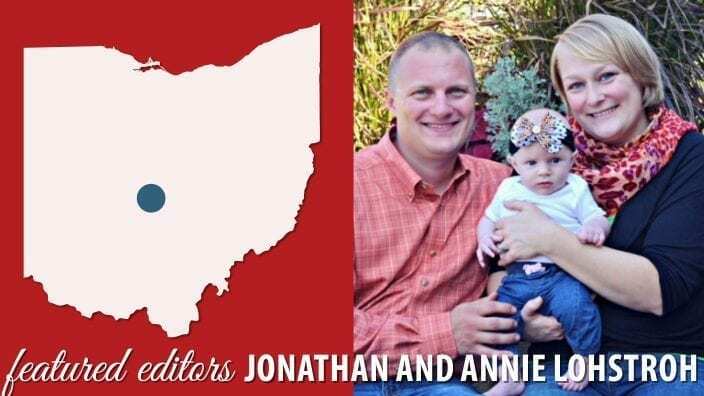 We are Jonathan and Annie Lohstroh from Williamsport in Pickaway County. Jonathan and I met at Waterman Dairy at The Ohio State University in 2009. He was milking cows and I was working on my undergraduate research project in dairy nutrition. Our first conversation in the feed room revolved around where we grew up and what type of farm we were from. 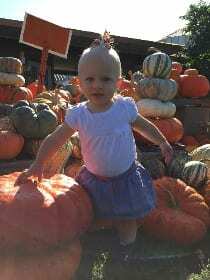 I think we both knew down deep that we would end up raising our family with the same focus at heart – pumpkins and beef cows. 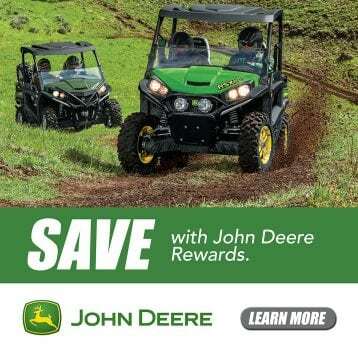 Currently we farm almost 1,000 acres of corn and soybeans, along with a small cow-calf operation and 12 acres of pumpkins, squash, and gourds with Jonathan’s parents, George and Michelle. 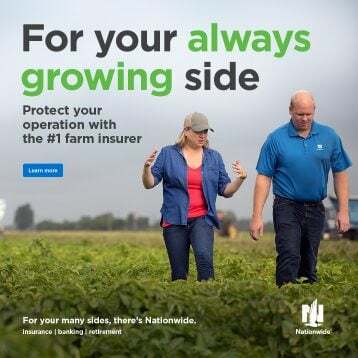 We are so proud to be raising our daughter, Julie, on our farm and truly believe that only the luckiest future farmers grow up in a pumpkin patch! 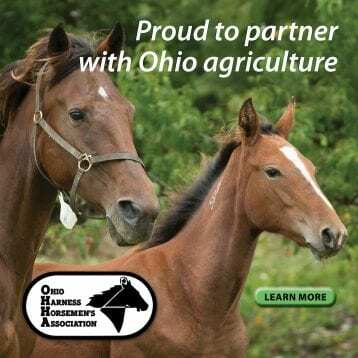 I am currently working part-time as a small animal veterinarian in Columbus after recently closing my mobile large animal practice to focus on our family and farm. As is the case with many other professional farm wives I know, I had a hard time finding that dream job right out of school that still allowed my husband to pursue farming full time. 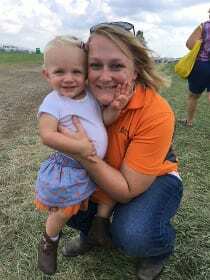 Spoiler alert: I’m still searching for that dream job, but I also wouldn’t trade my days at the farm with our daughter for anything in the world. I worked as a mixed animal vet for a year after graduation before I made the big leap and built a mobile large animal practice out of our home. Many late night emergency calls and texts, a new baby, and a lot of anxiety over owning a small business later, I decided to go to part-time small animal work in order to allow more time to raise our daughter and be an active part in farm decisions. This was a tough pill to swallow. Like most women in my generation, I grew up with the belief that not only could women work full time, raise a family, and be an active community member, they should want to be all these things, and do all those things relentlessly. Well, I was doing it. And it wasn’t working. So, being the modern, professional woman I am, I’m making decisions that are best for our family. I may go back to my practice in a few years, but for right now, I’m living my best life on our farm. Articles like this and the thousands of DVMoms I met through Facebook gave me the strength and courage to realize what was best for the little girl who looks up to me. Every fall we open our pumpkin patch and fall market to visitors. We offer hayrides to pick your own pumpkin, a small corn maze, and other farm-related activities for kids. 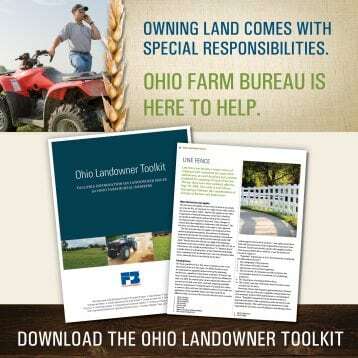 Being in the agritourism industry provides a unique platform for interacting with consumers of all opinions. I’ve been able to have real, meaningful conversations with consumers over GMOs, organic production practices, hormones in milk and meat, and how food really reaches our tables. 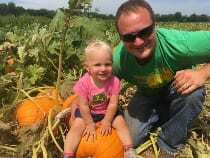 No one comes to a pumpkin farm angry or defensive, so these conversations aren’t tarnished by predisposed notions and that bond over a beautiful harvest is shared between consumers and producers. You can follow our farm on Facebook or at our website to see what’s happening on our farm year-round. 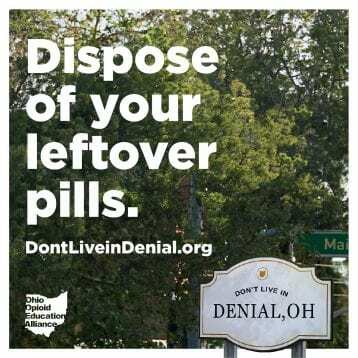 Jonathan and I are both technically transplants in Pickaway County. He grew up just over the county line in Mt. Sterling, and I was raised in Lucas, in Richland County. 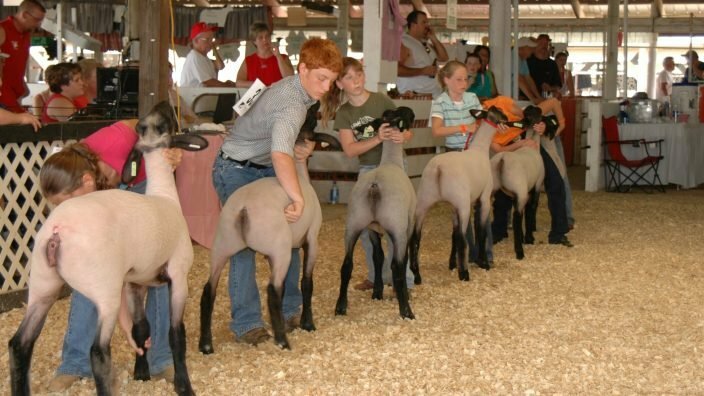 After visiting the Pickaway County Fair for the last few years, the junior livestock sale really stuck with me. Where were all the buyers??? Drawing from experiences at my own county fair growing up, and with a lot of help from my fellow board members, I am very proud to share that the Pickaway County Farm Bureau is establishing a brand new Buyers Club, the first of its kind in Pickaway County, to purchase animals at our county fair and reward 4-Hers and FFA members for their hard work on their livestock projects. 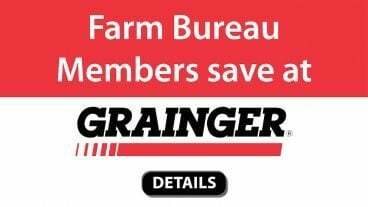 We are still in the early stages of developing this project, but if you or your community is interested in starting a Buyers Club, please reach out to your county Farm Bureau board for collaborating on your own project! SUBSCRIBE to receive Growing our Generation, a biweekly eletter with a different featured editor to meet each issue. Browse the archive of past issues. 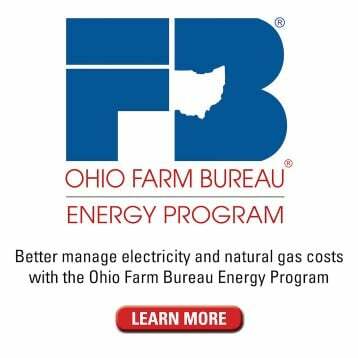 This e-newsletter is brought to you by Ohio Farm Bureau’s Young Ag Professionals. 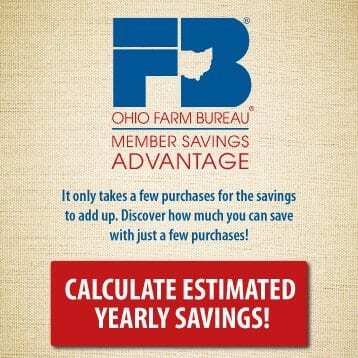 Learn more about Farm Bureau membership, including a discounted category for those 18-24 years old. 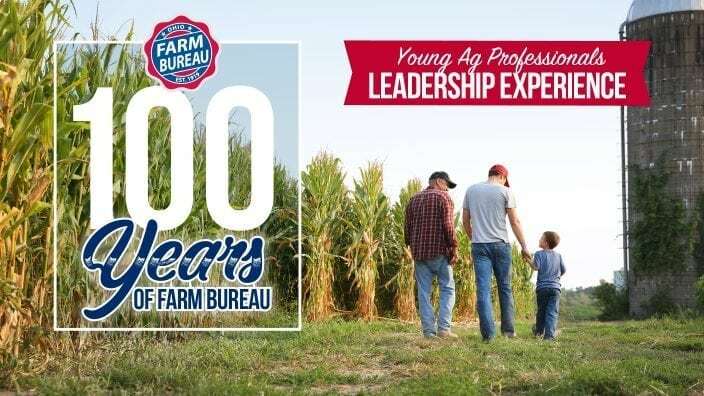 Members of the State Young Ag Professionals Committee are guest editors of the Nov. 19, 2018 Growing our Generation enewsletter, featuring insights and ideas directly from Ohio’s young farmers and food and agricultural professionals.